This week’s project was to try and flash some new firmware into one of my generic Arduino boards. 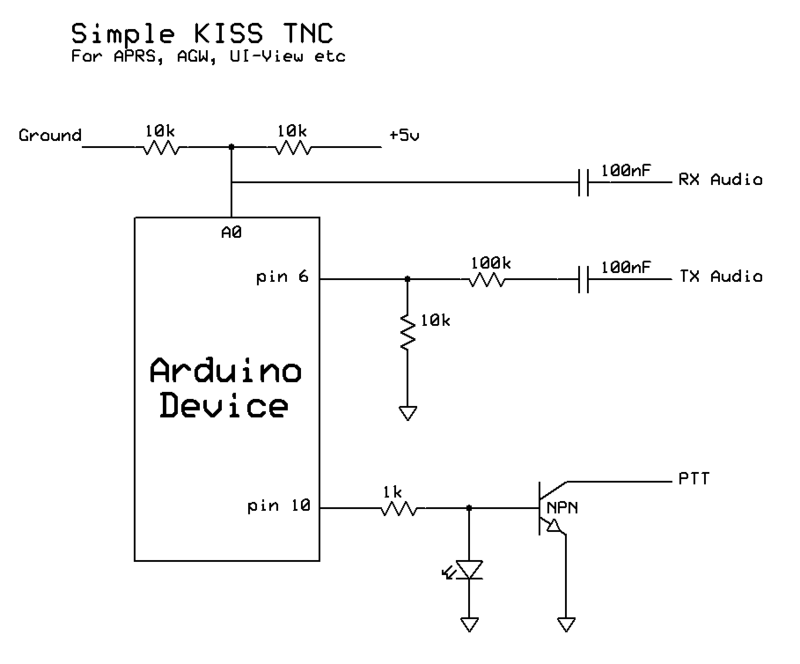 The KISS TNC firmware from Mobilinkd caught my eye as it looked like a cheap and easy way to get onto APRS (or plain old AX25 Packet) without finding an old Tiny-2 TNC, using a soundcard modem or buying a TNC-X. 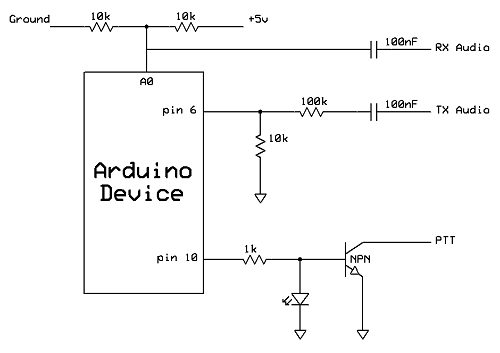 In order to get the TNC firmware onto the ‘duino board, you’ll need to use AVRDude to “flash” the device. Once you’ve installed AVRDude, open a command-box (Start>Run then type cmd) and enter the following which should re-flash your ‘duino board with the TNC firmware. 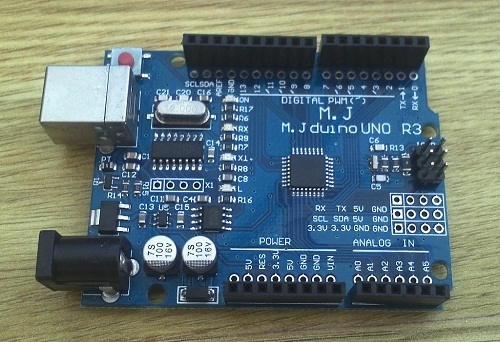 If your ‘duino board is on a different COM port, you will need to change that to match yours. If you want to get your normal Arduino firmware back – use the IDE to re-flash the firmware. If you prefer using a GUI, XLoader is probably an easier way to load the HEX file. The components required are minimal – just some filtering and a voltage divider plus an NPN transistor (2N2222, BC108 etc) to handle the PTT. Obviously you’ll need to apply power to your ‘duino using the USB jack which also functions as the virtual COM port which AGW communicates with. You can use whatever ‘duino variant you have available – an Uno has been tested here but a Nano would be good for a really tiny boxed solution. It’s really up to you! A quick video can be viewed here – sorry for the poor lighting, but you can make out the AX25 tones being generated in response to a “beacon” from the AGW Packet Engine. I can supply an Arduino, pre-flashed, via my Ham Goodies store for £10 – Just add the discrete components, a box and some cables!